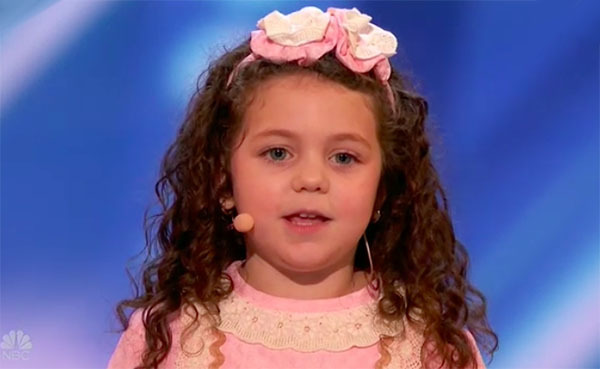 5-year-old singer Sophie Fatu performs “My Way” on America’s Got Talent Season 13 Auditions Week 3 Episode on Tuesday, June 12, 2018. “We weren’t expecting that. I love that song. You are hilarious, I want you to date my son. You are adorable,” said Simon. “You are so cute and you are so like an angel,” said Mel B. “You did it your way. you are the most cutest, adorable and talented on that stage,” said Howie. “You just did it like that,” said Heidi. Sophie Fatu gets four yeses from the judges and she is moving to the next round of the competition. What can you say about Sophie Fatu’s performance? Share your thoughts below.